** For lemon and raspberry scones, see ingredients at the end. Get a glass, and pour in your vegan milk. Add the cider vinegar and set to one side. 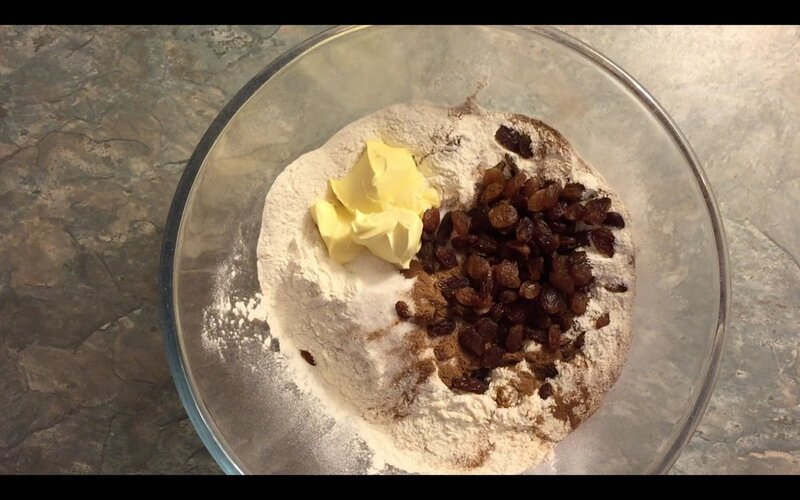 Now get a bowl and add your flour, sugar, cinnamon, raisins and butter. Mix everything together with your hands to make breadcrumbs. Gradually add the milk so it all comes together. If it gets a bit sticky- add a bit more flour. Dust a surface with some flour, tip your mixture onto the surface. Knead slightly and push flat until the mix is 1 inch thick. Use a 5cm cookie cutter to cut out your scones. Make sure you dip the cutter in flour before each cut- to stop the scones from sticking to the cookie cutter. Place them on a lined baking tray. This should make 12-15 scones, depending how many you manage to cut out. 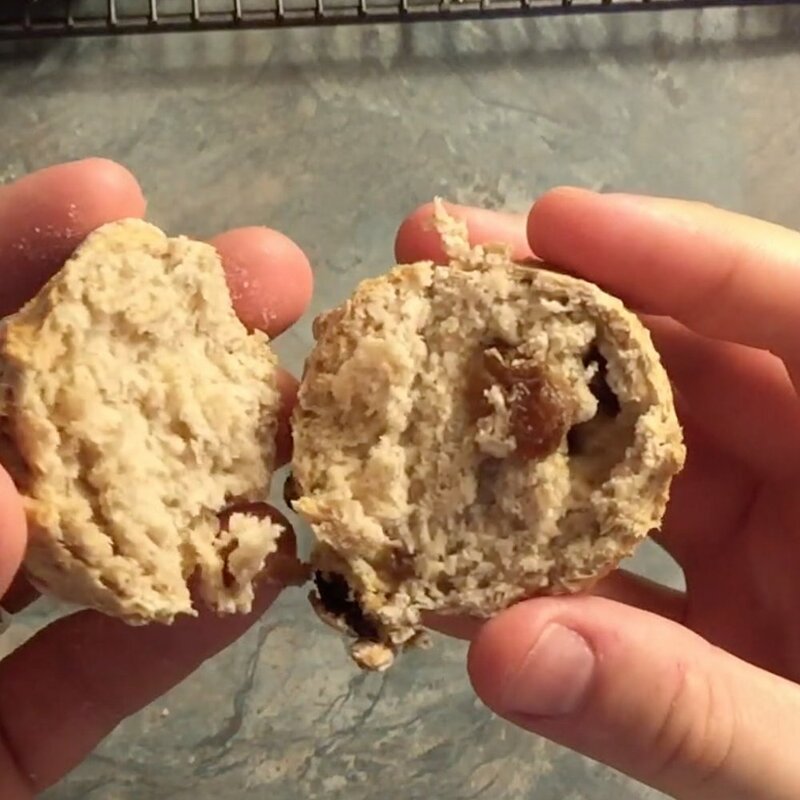 Bake for 15-20 minutes, until the bottom of the scones are brown (this means they are cooked through). Leave to cool on a wire rack. Or eat warm. It's up to you. Alternatively, you can make Lemon and Raspberry scones. and don’t add the cinnamon or raisins. Simple!